Woodhead Group marks 70th year with £30k fundraising effort! Woodhead Group is celebrating this December after smashing its fundraising target for 2016, raising over £30,000 for the Prince’s Trust and St Mary’s Church in Edwinstowe. At the start of the year, as part of its 70th Anniversary celebrations, the company, based in Edwinstowe, Nottinghamshire, set a fundraising target of a pound for every day it’s been in business – that’s £25,593. A fantastic effort from staff across the business exceeded expectations, raising £30,798.59! Throughout the year teams from across the Woodhead Group have played their part in reaching the company’s fundraising total. 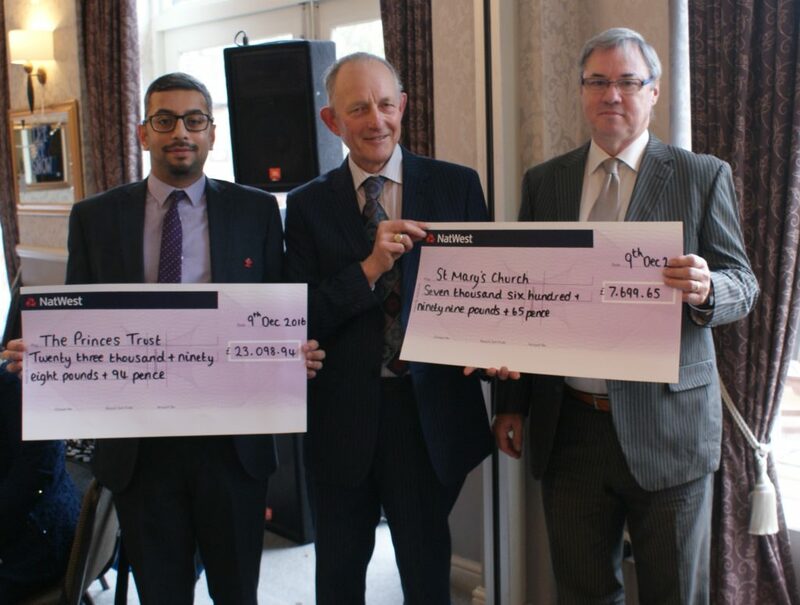 Money was raised through a number of fundraising activities, including a golf day, individual and group sponsored events, office Olympics, a raffle, charity fete and a Masquerade Charity Ball. National charity, the Prince’s Trust received 75% of all money raised, the remaining 25% was given to St Mary’s Church in Edwinstowe which the Woodhead family has long standing links with. Now a multi-million pound company, Woodhead Group has grown into a strong family owned and operated business that still has its roots in Edwinstowe in the heart of Sherwood Forest, and is run by Bob’s children and grandchildren. David Woodhead, Managing Director of Robert Woodhead Ltd, said: “Our 70th year is a huge milestone for the business and we have been delighted to have had so much support in celebrating it. It was important to us to not let this year pass without seizing the opportunity to do something beneficial to our local community and a charity which represents so much we believe in ourselves.